On March 15, 2019, ToekomsVonk again proved that we mean what we say. 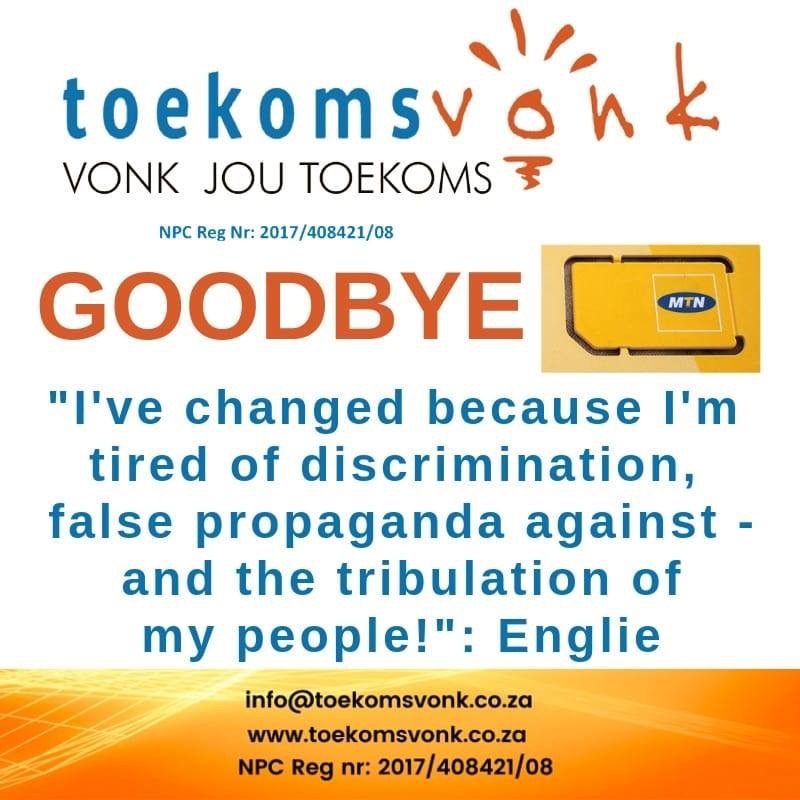 Following the announcement by MTN that they have decided to cut all ties with Afrikaans is Groot (AIG), because of Steve Hofmeyr’s performance in the concerts, ToekomsVonk launched the “Goodbye MTN” campaign. (c) immediately withdraw any other racist remarks in the public. It is time to take a stand and stand against the one-sided vision of South Africa’s leaders and also organizations / companies that are leaping to support that one-sidedness. Steve Hofmeyr is branded a racist, as he condemns farm murders and stand up for the rights of minority groups. 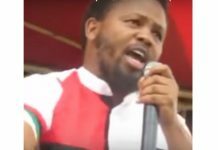 He is boycotted simply because he is a voice for a small minority group in South Africa who is prosecuted and destroyed in economic, cultural, historical and social areas. Thank you to everyone who takes a stand; the response from the public to this is overwhelming. Meanwhile, ToekomsVonk learned that Afriforum has also launched a campaign against MTN and welcomes the support and cooperation that comes from this action. ToekomsVonk’s aim has always been to bring about cooperation between organizations that speak for minority groups therefor this is a welcome response.